We are frequently leveling or sloping concrete floors in the London, Kitchener, Hamilton, and Brantford regions. 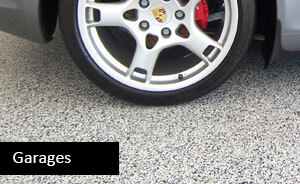 In many cases, floor leveling is required due to the settling of your concrete floor. Another factor is frost from cold winters causing the soil to swell and rise. Uneven floors often result in cracking, joint separation, or sloped surfaces. Luckily, they can be corrected in a couple of ways. 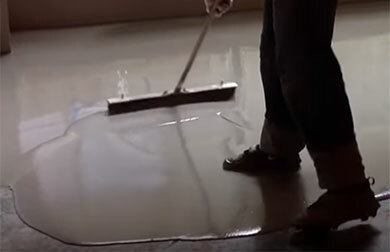 Self-leveling Cement – This works well if your floor has some dips or slopes. It takes plenty of knowledge and experience to do this procedure correctly as there are many variables that can affect the end result. 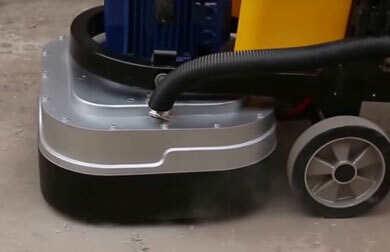 Grinding – We use a powerful industrial grinder to remove high ridges in your floor. The grinding head consists of diamond blades that lightly cut away at the ridge until it is eliminated. 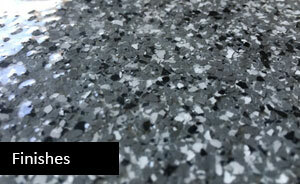 Grinding also helps prepare your surface for maximum adhesion. For a FREE, no obligation quote on having your concrete floor leveled, give us a call or send us a quick email. 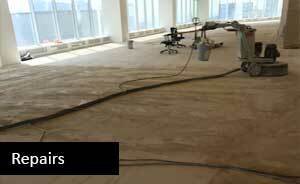 We also make various types of concrete repairs and perform concrete demolition.